The murder of at least 50 Muslims in New Zealand—struck down during Jumu’ah, traditional Friday congregational prayers—was the latest mass killing of Muslims, Blacks or others by White extremists intent on attacking innocent people they despise and hoping to start a race war. 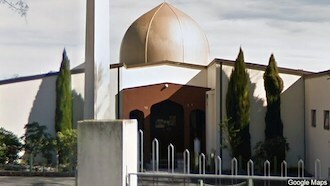 The victims were at the Al-Noor Mosque and Linwood Mosque in Christchurch, the country’s capital, when the gunman burst in and opened fire. Witnesses said he shot into people on the ground and went back to his vehicle at least once to reload. 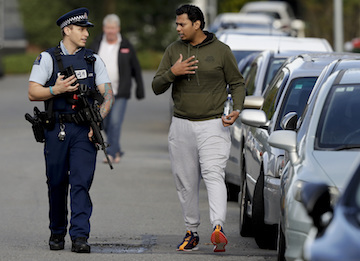 New Zealand authorities say at least another 50 worshippers were injured and the alleged gunman was later arrested. A young Muslim man confronted the armed attacker, who dropped his weapon, fled, and was later apprehended by police. 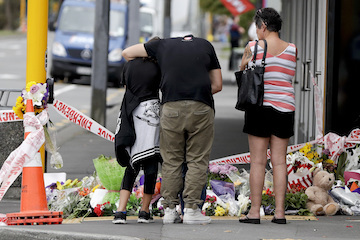 The prime minister characterized March 14 as “one of New Zealand’s darkest days,” and called the massacre “an unprecedented act of violence.” The terror attack drew global condemnation and expressions of solidarity for Muslims and the “Kiwi” nation. Four days later, the prime minister said lawmakers had essentially agreed to tighten gun laws in the country. 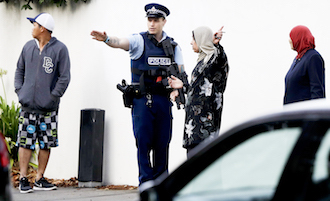 The single-day murders in Christchurch equaled the average number of murders in the country for a year and the broader and global community joined Muslims in mourning as they buried their dead. The suspected killer, a 28-year-old Australian, wrote a manifesto outlining the reasons for his actions. Brenton Tarrant described resenting immigrants in New Zealand and countries in Europe he visited. He wrote that while touring Western Europe in 2017, an Uzbek man killed five people after he drove a truck into a crowd in Stockholm, Sweden. He was enraged by the death of an 11-year-old Swedish girl. 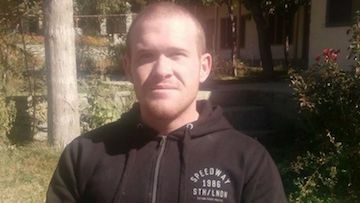 The accused mass murderer, said he trained for the attack for three months in New Zealand, but had been plotting for two years. While in New Zealand, he decided it was an acceptable place for his deadly rampage. By attacking that country, Mr. Tarrant allegedly would show no place on earth was safe—and that even a country as far away as New Zealand was tainted by immigration. The gunman credited mass shootings in the U.S. with inspiring him to kill immigrants. He also praised President Trump. The suspect idolized American, Canadian and other White nationalist mass shooters and had White supremacist lingo emblazoned on his weapon. The alleged shooter did not have a criminal record and “was not known to authorities in connection with far-right violence,” Prime Minister Jacinda Ardern said during a press conference March 16 in New Zealand. The onetime personal trainer began legally buying guns last December, had two semiautomatic weapons, two shotguns, and a lever-action firearm, she said. Authorities in Australia raided properties belonging to members of the alleged killer’s family March 18. What happened in Christchurch isn’t an aberration or a one-off. Seventy-seven people died in a massacre by a White terrorist in Norway a few years ago. Last year, a White nationalist gunman killed 11 worshippers in a synagogue in Pittsburgh’s Squirrel Hill. Another White gunman shot two Black shoppers dead in a supermarket in Louisville, Kentucky; a then-21-year-old White boy killed nine church members in Mother Emanuel African Methodist Episcopal Church in Charleston, South Carolina, in 2015 because he resented what he saw as Blacks taking over. Similar incidents have occurred with depressing regularity in Europe, the UK, Canada, Denmark and other parts of the White world. Meanwhile, burgeoning White resentment is reflected not just in shootings, but demonstrations, the emergence of political movements and other means of expressing perceived outrage and racial resentment. President Trump’s rise and popularity, his supporters’ view of him as their champion; his statements and policies, his remarks about race and his denigrating and condescending remarks about “the other” and his defense of White nationalists are well known. Wider afield, incendiary and racist statements by Iowa Republican Steve King about protecting White civilization and society, anti-Islamic violence in America and Europe, the rise and power of the right wing in Europe, the UK and former Trump advisor Steve Bannon’s visits to Europe indicate an ideology on the march. 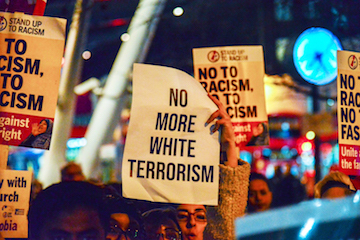 Asha Castleberry, a foreign relations expert, said attacks by White terrorists are consistent with the rise of populism and rightwing movements and governments in Europe, the U.S. and Latin and Central America. Ms. Castleberry said those drawn to such movements tend to feel they’ve been marginalized by the system. She said the U.S. president bears a good deal of responsibility for these terror attacks because he liberally uses White nationalist rhetoric and by word and deed, has emboldened White nationalists, the Ku Klux Klan, White militias and other groups and individuals. Labor union organizer Bill Fletcher said the president has demonized Black people, Mexicans, immigrants, Muslims and other Brown or foreign people inside and out of this country. Mr. Trump’s rhetoric, critics contend, is feeding an upsurge in hate crime, violence against “others” and even murder. 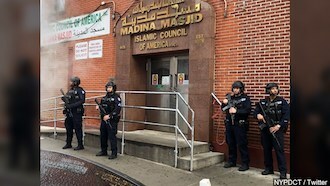 The Federal Bureau of Investigation released data at the end of last year showing the number of hate crimes reported to the bureau rose about 17 percent in 2017 compared to 2016. 2017 is the latest year for which those statistics are available. It is the third-straight year that incidents of hate crime rose. But, according to the feds, only about 50 percent of hate crime victims report incidents to authorities. Blacks, Jewish Americans and members of the LGBTQ community were the top three targets of hate crimes. But over the last decade, the overwhelming majority of murders linked to domestic terrorism have been committed by White nationalists or White supremacists. Mr. Fletcher, who is also a talk show host and racial justice activist, said White terrorists need to be dealt with firmly and ruthlessly. “The nature of rightwing populism is violence based upon articulating that there’s an existential threat to White people, so how can you be surprised? They attack a mosque, you have to smash them. There should be no tolerance for right wing populists. They encouraging violence and they have to be stopped,” Mr. Fletcher added. Dr. Wilmer Leon, III, agreed with Mr. Fletcher’s assessments.